What Sarah Did Next: Need a role model, anyone? I should be packing. My suitcase is currently sitting empty in my room, waiting to be filled with warm clothes (gotta love Melbourne weather) and probably too many pairs of shoes. I have yet to check-in to my flight online and print off my boarding pass, plus I need to organise a few last-minute things for the boys, and fold and put away that last bit of washing. Oh, and eat something. So much to do. All because I'm leaving for the Pro Blogger conference tomorrow, that is if I ever get packed in time! But instead, I was checking my emails, saw this in my inbox and my heart went all a-flutter. Because there's a new book out! I want this book like, NOW. 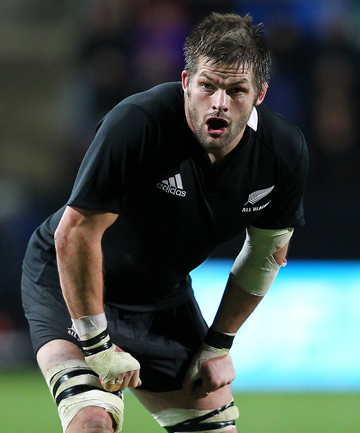 I've been a fan of Richie McCaw's from the moment I saw him play. He is, without doubt, the greatest open side flanker New Zealand has ever produced. The list of his sporting achievements is nothing short of impressive, equalled only by the humility and integrity of the man himself. During a stellar 112 game career with the All Blacks (including captaining the successful 2011 Rugby World Cup side) Richie McCaw has only tasted defeat a mere 12 times, giving him an enviable winning ratio of 89%. That's an incredible fact, right there. Last weekend saw another milestone reached - he became the first player EVER to achieve 100 Test wins. 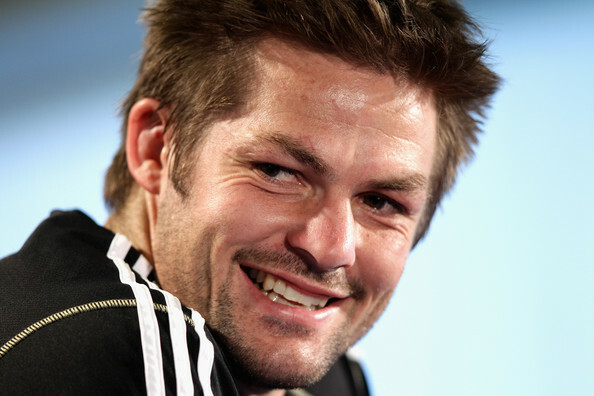 In typically modest fashion, Richie has deflected all praise received for this achievement and instead thanked his team mates for helping him get there. He is that rare breed of sportsman who actually understands that no-one is bigger than the team. We need a whole lot more of that kind of thinking in life generally, I reckon. "I don't often put personal stuff ahead of what you're trying to do out on the field but after a performance like that, I'm thankful just to be out there. To get 100 wins you've got to be a part of a very special team to be able to do that. I've been lucky to be with a good bunch of men over a long period of time and today was another example of the fun you can have when you get the right result." But my point is this. You won't read about him tearing it up on a Friday night, drunk and disorderly. You'll never see him shoot his mouth off making disparaging sexist remarks about women. He's never been in the news for all the WRONG reasons. 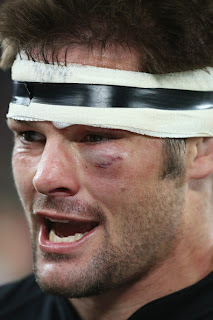 His reputation as a down-to-earth, all round good bloke is as rock solid as his ferocious defence on the paddock. He's exactly the kind of man I want as a role model for our kids. I know Son#2 is a huge fan. The word 'legend' is thrown about with careless abandon these days when it comes to our sporting stars, but in the case of Richie McCaw, I think it is entirely appropriate. Congratulations, mate. You are indeed, the MAN. Now, I really must get back to packing. See you at Pro Blogger! 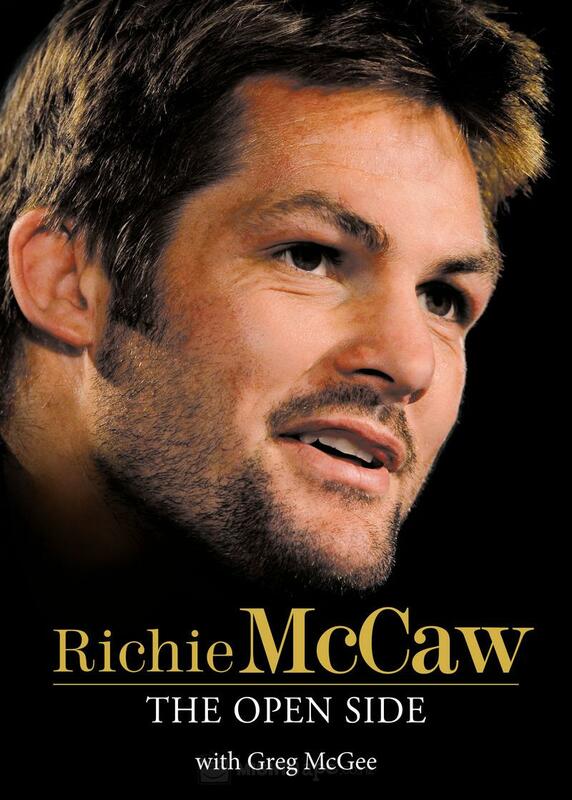 I can't wait to read it - they posted a few excerpts online this morning and my estimation of Richie as a man rose even further, if that is possible! What he went through with his foot during the World Cup would surely fell a lesser bloke. Amazing. Oh and I just spoke to our mutual Melbourne friends - they're picking me up from the airport! Can't wait!! Have a wonderful time at the conference. Urrg cricket is just bats, balls, BOORRRING for me,(like all sport), unfortunately for me, being a mother of boys. Enjoy the book! Showers... of the baby kind. People who meet people... are called bloggers.